Finally, while I track food intake, not everyone does. Plus, the best food indicator for a good workout is the amount and type of calories consumed 2-3 hours before a workout. I didn’t think the food input tracking tools were accurate enough to input this into the model, so I ignored it. 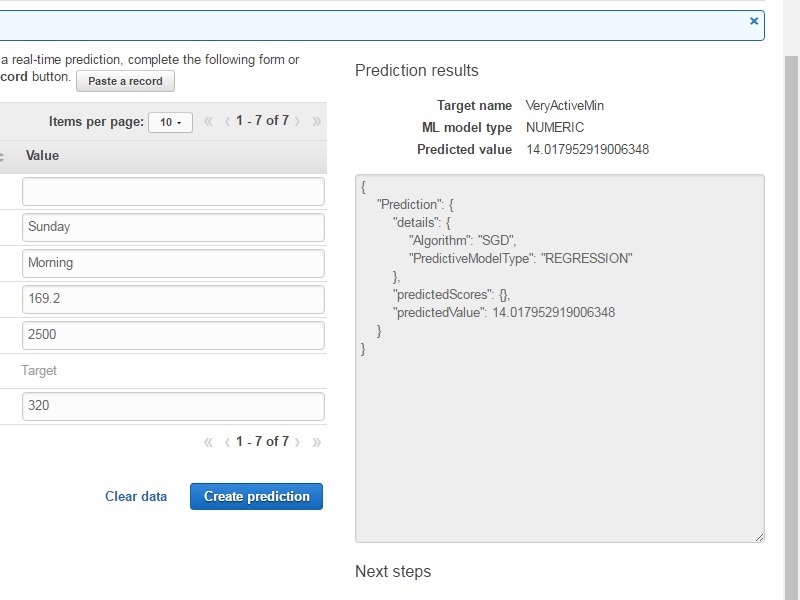 Amazon Web Services has a Machine Learning service that I thought could be used to predict workout intensity. I extracted 4 months of workout data to build and train a model to predict workout intensity1. Binary classification wasn’t an option for my model. I considered using multi-class, but decided against it. I ultimately went with a Regression Model, where the predicted output value was the number of active minutes. 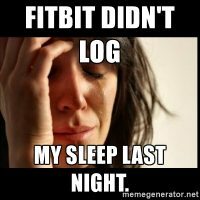 My first models weren’t very good – I either had too much data (when I included the calendar information) or my data wasn’t complete (I didn’t have sleep minutes on certain workout days because I forgot to wear my Fitbit to bed)3. After building 5 or 6 models, I ultimately came up with a prediction model that returned results better than the baseline. In order to find the best time of day, I passed the same day, sleep, weight, and calorie variables – only changing the time of day. The highest predicted value would indicate the best time to go to the gym. As seen in the screen shots below, based on the same inputs, I’ll most likely have the most intense workout between 11AM – 2PM (Mid-Day). Next Post – Automating the Model build and tying it to Alexa. I used the APIs exposed by Fitbit to retrieve this data, which I the formatted, saved to S3, and used to create the machine learning data source. I excluded ‘Walking’ from my data set; I felt that those metrics would throw the model off. I got around this problem by assuming that the user slept for 6 hours if there was no saved sleep minutes value.